One of our home births. 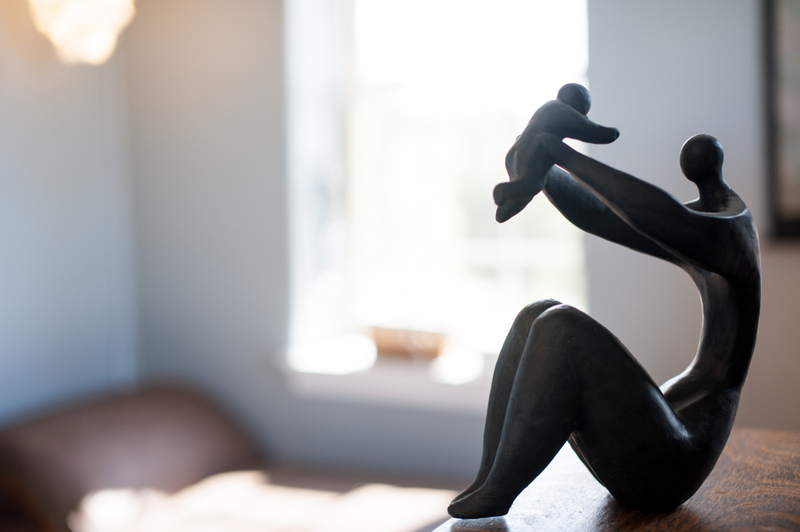 Brookhaven’s philosophy is to provide a range of informed choices in childbirth, therefore we also provide homebirth midwifery care within a 60 mile radius of Harrisonburg, Virginia. 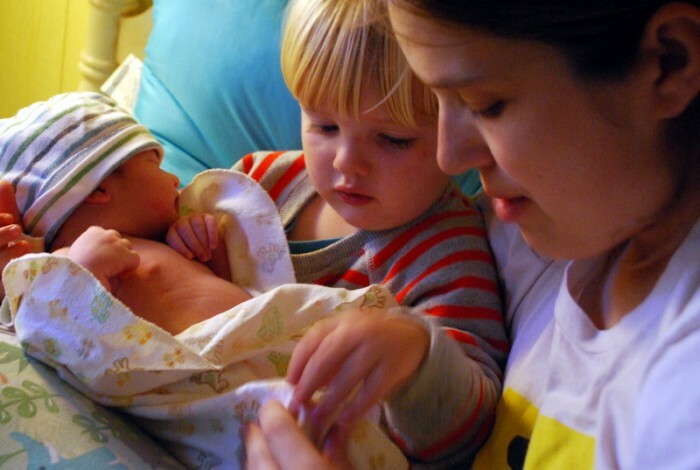 The midwifery care is the same in both the homebirth and birth center settings. All prenatal visits will be performed at Brookhaven, and will include one home visit in the final six weeks of pregnancy. This visit provides an opportunity to meet the mother in her own home and space and to feel comfortable with the logistics of her upcoming birth. Midwifery care is provided from conception through six weeks postpartum. Prenatal care visits will be scheduled on a monthly basis until 28 to 30 weeks, every other week from 30 to 36 weeks, and weekly from 36 weeks until delivery. Each visit will last for a full hour. The goal behind this time-intensive model of care is to educate and empower the client to make informed decisions regarding her care, and to help families feel prepared for their upcoming birth and journey into parenthood. When labor begins, the midwife and her assistant will travel to the client’s home and begin the physical set-up to prepare for birth. They will check on the status of the mother and baby, and will offer both physical and emotional support. Midwives are trained in the physiological process of natural birth, and have many tools in their toolbox to help the mother meet that goal. This might mean massaging the mother’s back, offering her sips of laborade, giving verbal encouragement, and ensuring that her birthing space is warm and calm. But midwives also receive extensive training in birth emergencies and spend a great deal of time discretely monitoring for any deviations from normal. The midwife will listen to the baby’s heartbeat regularly with a hand-held Doppler. This allows the mother to be in any position she chooses, even in water, while the midwife is listening. The midwife will also take the mother’s vitals, such as blood pressure, temperature, and pulse, all throughout the labor, and will continually monitor the mother and baby for any deviations from normal. Internal exams are kept to a minimum to reduce the risk of infection and to avoid disturbing the mother’s sense of control and privacy. In labor, the midwife will respect the mother’s body and her own process of birth, and will wait for mom to feel the urge to push. The midwife will avoid coaching or telling her what to do unless she asks for verbal direction. This method can decrease the risk of tearing and gives the mom a greater sense of empowerment in her birth. Once born, the baby is immediately placed into mother’s arms. The cord is left intact until all pulsing has ceased. Mother and child are given plenty of time to bond and breastfeed with minimal interruption. Both mother’s and baby’s vitals are checked several times over the next few hours. After the baby has nursed well and mom is ready to eat, shower, or hand the baby off, we do a thorough newborn exam. This exam is done on the bed, next to mom, with each step being explained to parents along the way. The midwife and her assistant will stay at the home for a minimum of two hours after the birth. Before leaving, they will clean up, make sure mom has eaten a warm meal, assist with breastfeeding, and help mom to the bathroom. They will also leave the mom and family with detailed postpartum instructions and answer any questions, tucking mom and baby into bed on their way out. Within the first 24-72 hours, the midwife will return to the client’s home for a postpartum check-up. At this visit, she will check for jaundice, help with nursing, and monitor both mother’s and baby’s vitals. She can also do the metabolic screen at this time if the family desires. The midwife will follow up by phone over the next few weeks, and will schedule more appointments if needed. A two week postpartum visit is scheduled at the birth center to monitor mom and baby and to answer any questions or concerns. The final appointment will happen at the birth center at six weeks postpartum. A Pap smear will be offered at this visit if desired by the mother.